Published Tuesday 26 August 2014 on the New Federalist. Dear Reader, we know you’ve got loads of questions racing through your mind these summer days: what swimming pool should I pick? Which pub should I go to? A glass of wine or a nice, refreshing beer? And, of course, who’s the new President of the European Commission? This is why you’re here, after all, and this is why we at JEF and The New Federalist have written this “Juncker for Dummies” guide for you. We hope you find it refreshing, learn a thing or two and get all geared up to prevail in any summer debate with your friends. So let’s get to the bottom of the… er, matter, look at things from your point of view, ask the same questions trotting around in your head and find all the answers you need. 1.- So, who’s this bloke anyway? Where does he come from? Jean-Claude Juncker, or as his friends call him, Johnny, was born in 1954 in the Great Duchy of Luxembourg, the second smallest EU Member State (no sneering remarks, please), where he lived and grew happily as a good pro-European. Juncker also felt the ripples of the war in his life, as his father had been forcibly drafted to fight in the German army during World War II. 2.- Okay, but what did he study? He’s got Erasmus experience. Well, sort of, since he studied in three different countries during his youth. He received primary tuition in Belvaux (Luxembourg) and secondary education in Clairefontaine, Belgium, before returning to Luxembourg to finish high school. In 1975 he started Law (one of the most difficult degrees in Europe) at the University of Strasbourg in France. He completed his studies in 1979 right on schedule, proving he was a brainy kid who, furthermore, spoke no fewer than five different languages. 3.- So he’s no dunce, got it. But what has he done since 1979? Yep, that was a long time ago, but even back then Mr Juncker (we’re not buddies yet) developed a taste for politics. Instead of joining a law firm, he put his legal expertise at the service of the Christian Social People’s Party (CSV/PSC) and, at the young age of 28, he was appointed Secretary of State for Work and Social Security in 1982. As we see, he already had the makings of a hard-working politician, so two years later he became Minister of Labour. In 1989 he took up the Finance portfolio (it’ll come up again later), and he liked it so much he kept it until 2009. In January 1995, he became Prime Minister of the Grand Duchy of Luxembourg, a post he held until December 2013 —almost 19 years during which he won three consecutive general elections and headed four coalitions (with either liberals or socialists, as the situation required), so he can’t have been that bad. Generally speaking, his premiership was economically liberal-conservative and socially somewhat more progressive (we’ll let you borrow that sentence for your debates). He oversaw several years of remarkable economic prosperity (with Luxembourg topping EU per capita income rankings) before the onset of the Great Recession, from which Luxembourg emerged in better shape than other Eurozone countries. 4.- Can he do no wrong? Is he a saint or something? Of course, our subject of interest has also had his fair share of scandals, chief among them the one which brought down his premiership, when it was revealed that the Luxembourgish secret service (we know, right?) had been illegally wiretapping leading figures in the country. On paper, the service reported to Juncker, but it had gone rogue to such an extent that Juncker himself ended up being wiretapped. This didn’t stop him from running for re-election, and indeed he got more votes than anyone else. Nevertheless, he failed to entice the socialists and liberals, who struck a deal behind his back. On another note, he also courted controversy when he defended banking secrecy and the Grand Duchy’s tax and economic privileges as a tax haven, with the financial sector representing no less than a fourth of its economy. We already saw how Juncker is quite the hard-working man, but when it comes to Europe, he kicks it up a notch and works his socks off in defence of his profound European convictions. His double role as Prime Minister and Minister for Finance made him an expert in all the “fun” going on in Brussels (aka the European Council and the meetings of the Council of Ministers for the Economy). In his 25 years as minister and Prime Minister, he saw: 4 fundamental treaties, 1 (failed) constitution, several economic crises, a tech bubble, an economic megacrisis, several world crises and a myriad European ones, the accession of 16 new Member States, the birth of the common currency… and he had a hand in all of it. He earned much praise for his work in ECOFIN (a gathering of EU economy ministers) and was one of the architects of both the Economic and Monetary Union (EMU for buddies, a precursor to the euro) and the Growth and Stability Pact. He also led the Eurogroup, a gathering of euro state Finance ministers, for eight years. In December 1996, in between pints of Guinness at a European Council in Dublin, he was a key mediator ahead of the implementation over the next few years of the Growth and Stability Pact (GSP), which had been designed by German Minister of Finance Theo Waigel and was essentially a list of dos and don’ts for states wishing to join the euro. The other states and the European Commission were supposed to oversee compliance with these requirements, but a few years down the road it had become more a case of the blind overseeing the blind. With all these successes under his belt, it’s no wonder he was chosen to lead the Eurogroup for eight years straight and gaining the nickname “Mr Euro” in the process. ➢ ECOFIN sitting chairman: Come on guys, Ministers for the Economy, it’s time to pick who’ll be coordinating that currency thingy, the ECU, I mean, the euro. ➢ German minister: No problem, I’ll do it. ➢ The rest: What? You’ve got to be kidding. You already boss us around enough. We ain’t giving you any more power. ➢ French minister: Oh là là, no quarrelling, no quarrelling! Let me handle this. ➢ The rest: What? Yeah, right, and then you’ll get all sulky whenever anyone brings up la grandeur. ➢ Belgian minister: Well, how about me, I mean us? We’re half French and half German, after all. ➢ The rest: No way, Jose. It takes you ages to cobble a government together and we don’t even know how long you’ll stay in office, so that’s a non-starter. ➢ Chairman: John… (Mr Juncker) Stop gazing at the ceiling, will you? ➢ Chairman: Well, you’re right in the middle, speak German and French, and did an outstanding job with that euro thingy. ➢ The rest: You ain’t wriggling out of this one. You should’ve stopped when we still had francs, marks and pesetas… It’s your job now. And don’t worry. It’s just for two years. It’ll be over before you know it. 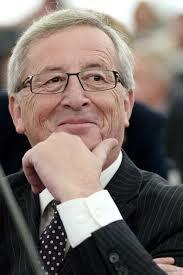 ➢ Juncker: Are you sure? 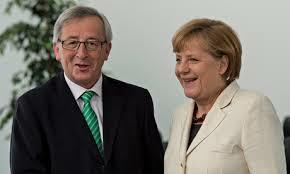 ➢ Juncker: Okay, then, two more years. ➢ Someone: I’m getting a bit fed up with having to pick a Eurogroup chairman every two years. How about extending his term to four years or more? ➢ Everyone: Joooooohn! Come on, old chap, we’ll call you “Mr Euro” from now on and you’ll get to keep the post for as long as you want, okay? ➢ Juncker: Oh, all right, just stop pestering me. ➢ Everyone: [singing] For he’s a jolly nice fellow, he’s a jolly nice fellow! In January 2013 he finally bequeathed his post to Dutch Finance Minister Jeroen Dijsselbloem (it is said that the moist air of the Brussels European district was filled with the sad wailing of guitars and a voice singing “when a friend goes away, a bit of your soul goes with him…”). As a member of the Council of Finance Ministers (ECOFIN), our hero first rose to prominence in the wide-ranging political process leading to the Treaty on European Union (TEU), which was approved by the European Council in Maastricht in December 1991, was signed in February 1992 and came into force on November 1, 1993. He later followed up on it with his work on the Treaty of Amsterdam (the one which followed the Treaty of Maastricht) and, more or less around the same time, the Luxembourg Process (just in case you were wondering whose idea it was), an initiative to complement the existing common policies and EMU with a social integration scheme focusing on job creation. 6.- Okay, okay… But what about the crisis? Is he a good guy or a bad guy? I bet he’s one of those who love to squeeze us until the pips squeak. He played the “good cop” in all this austerity drama. It’s absolutely true that, as the chairman of the Eurogroup, he was one of the key players in designing the bailout programmes and financial funds used to stabilise the euro. He did this mainly through the so-called Frankfurt Group, an informal gathering of economic officials and, according to sceptics, the real power behind the throne in the EU. As part of this group, he kept his distance from the strictest, most dogmatic views, mingled with those who’d rather combine austerity and stimulus for growth, and sounded the alarm on the widening gap between the northern core and the southern bailed-out economies. This is why in December 2010 he teamed up with Italian Finance Minister Giulio Tremonti to launch a proposal for a European Debt Agency authorised to issue bonds (the famous Eurobonds) on behalf of the then 27 Member States. The Agency was supposed to take over from the European Financial Stability Facility (EFSF, the mechanism set up to bail out embattled Member States), which depended on contributions (and good will) from governments. Merkel and her Finance Minister, Wolfgang Schäuble, closed ranks with Sarkozy to reject Eurobonds, arguing that “collectivising” national debt would dilute the responsibility of states with financial problems and slow down implementation of crucial austerity and consolidation measures. In other words, “dream on and fasten your seatbelt”. Mr Juncker ended up calling the German chancellor’s approach “anti-European” and “simplistic”, which translated from Brussels lingo to street-speak means he hadn’t liked it a little bit and had serious doubts about her ancestors’ honour. 7.- Neat. He seems pro-European and it looks like he has what it takes to be President, but… Who picked him? He was chosen by the electorate: BY YOU! If you didn’t know, which is likely, but not your fault, all the big European parties fielded candidates in the last election to the European Parliament, with Mr Juncker spearheading the People’s Party campaign. Nevertheless, perhaps you didn’t vote for a constituent party of the European People’s Party, so how could it be? By participating in elections, which is a great start, because whether your candidate or another one is elected, democracy is the winner, and if you didn’t vote… we invite you to read some of the articles in which we gave several reasons to do so and underlined the importance of voting (editor’s note: because we only mentioned it, like, 50 times). 8.- What does he want to do now he’s President of the Commission? To say Juncker doesn’t shy away from work would be a massive understatement. Right after being elected, our new President gave a speech outlining the goals of his presidency, showing off his metaphorical skills and admitting mistakes had been made, comparing the measures implemented in Europe during the crisis to “repairing a burning plane whilst flying”, or in layman’s terms, “we didn’t end up with our heads smashed in, in but it was a close shave, and we could’ve done some things better.” He went a step further and stressed that the success of future European policies hinges on regaining the citizens’ trust and rising to the challenges faced by Europe, its society and its economy. His plan consists of rebuilding the EU around an “Agenda for work, growth, justice and democratic change”, with a key mantra for Europe: “bigger and more ambitious on big things and smaller and more modest on small things”. He’s translated this into 10 specific policies, chief among them the creation of jobs, growth and investment, driven by an initiative to muster €300 bn in public- and private-sector investment over the next three years. This investment would focus on infrastructure (telecommunication networks, energy, transportation and industrial centres), education, research and development, renewable energy and energy efficiency. Other goals will be: • Raising the EU’s international profile (we’re not always taken seriously) • A larger, better internal market with a stronger industrial component • A free trade agreement with the US (the stuff of nightmares for some) which is fair and balanced (so they can have sweet dreams) • A better, deeper economic and monetary union. It’s not about being richer, which isn’t bad or exclusive either, but about the social aspect. It’s about fulfilling the (secret) dream of many to get rid of the troika and replace it with a more democratic, legitimate system. • Taking a breather from enlargement. In other words, no new Member States in the next five years (shoehorn this into the Catalan debate for lots of fun and games) • A Union with a strong democratic flavour, that is, with intensified dialogue among the European institutions. Conversation brings people together, you know. He also wants to make things more transparent, including taming the lobbies, which remain as mysterious as they’re controversial. • Injecting a dose of common sense into European migration policies, which at present are neither common nor make much sense. 9.- He’s got his work cut out for him, can he pull it off? Crystal balls and tea leaves won’t help us here, so let’s look at this through our pro-European prism. He faces a Herculean task demanding a strong commitment and an iron will. 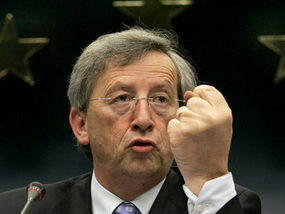 Juncker’s already proved he has these qualities, in addition to that penchant for European federalism we’ve come to know and love, not to mention his white hair and glasses which remind us of another Commission President who shook the Union to the core (in a good way), a certain Jacques Delors. So the answer is: yes, we can, but it certainly won’t be a path strewn with roses and we, the average Joes and Janes, will have to keep a watchful eye on him, so if our brand-new President of the Commission veers off course, we can put him back on the pro-European track. P.S Special Thanks to Alistair Spearing for his superb work of translation. Like this article? Want a fun introduction to any other aspect of the EU? Send your questions to yasemoseuropeos@gmail.com or follow us on twitter @yasemoseuropeos. We promise to answer (sooner or latter).